Best Dog Training in Greensboro, Winston-Salem, High Point - Triad, NC! If you are reading this you absolutely love your dog but wish he/she had better manners – would stop jumping, barking, rushing the door, pulling on the leash, and come when called without a treat. My name is Amy Clear and I have been the local dog trainer in the Triad area for 14 years! You’ve come to the right place to get help, support, and understanding. Since 2004, I have trained thousands of dogs, customizing the natural Bark Busters method for each dog and owner. I also started the local Dogs Behind Bars program where inmates are taught how to train rescue dogs so they can find their new forever home. This program not only helped the dogs but was instrumental in the rehabilitation of inmates. Knowing this program was a key factor in the continued success of participants, even after their release, is one of my most proud accomplishments. Unfortunately, statewide budget cuts closed the prison, but the legacy lives on. My ability to assess the root cause of dog behavior coupled with the dynamics of the home and goals of the family, have resulted in remarkable and oftentimes dramatic changes. I have had owners sit and cry and hug me as they never thought their beloved dog could change. They have told me they would never, ever have believed it was possible if they had not seen it with their own eyes! The stress relief for the family and the dog results in happiness for all. My tenure has given me the opportunity to help with all dog behavioral issues. There is virtually no issue I haven’t seen or been able to overcome. It is exciting to help new puppies and new dog owners get started on the right path as well as helping dogs that have had issues for years find their way to happier lives. You’re probably frustrated by your dog’s behavior. Why doesn’t he listen? Why won’t she behave? In fact, you’ve probably begun to ignore certain behaviors or given up. Don’t! I can help you and your dog! Communication. Right now your dog probably doesn’t understand a word you are saying and therefore can’t do what you want him to do. I will teach you how to get your dog to listen to you using a natural method of voice tones and body language – the way dogs communicate. No shock collars, no pinch collars, no clickers and no physical force like pinning. Once you learn how to understand what your dog is telling you and how to guide him/her to better decisions, your reinforcement about 20 minutes a day will result in the new, obedient and happy dog you want. Results. You will see amazing results after the first lesson launching you into a foundation that we will build on to provide the lasting changes you desire. Source. I will help you get to the root of the problem. Dogs don’t just randomly bark for no reason. We uncover the “why” so we can start correcting the behavior. Pecking order. Believe it or not, your dog wants to please you, he just doesn’t know how. He wants to know you have his back and can handle the world, relinquishing control to you. I can teach you how! I can help you and give you the dog you want! The only regret I encounter is “I wish I had called you months ago.” Start enjoying your dog NOW by calling. I am here to help you! Amy was so very helpful with our new puppy. Her professionalism, kindness and passion was very clear when helping us with our new puppy. 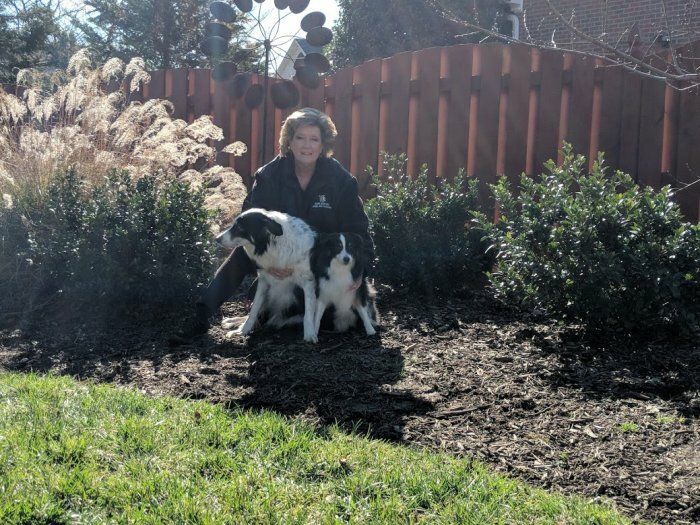 If you're looking for someone who truly acknowledges that each dog is different and offers an individualized approach to training, she is the trainer for you! After just our first session with Amy we are already seeing results. I am completely satisfied with the decision to work with Bark Busters and Amy! It is hard to think that someone could explain things in a way you never thought about or that you could learn things you don't read online and it would be so easy to implement. Thank you!! !